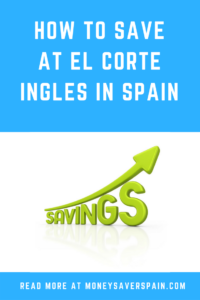 Even though El Corte Ingles isn’t the cheapest store in Spain, it’s the most popular. Take a look at our tips on how to save and how to avoid (or reduce) delivery charges. The El Corte Ingles store card is totally free, just ask for one in store at the Customer Service Desk or apply online. All purchases made in a calendar month are charged to your bank account the last day of the following month. This means up to 60 days credit if you buy at the beginning of any month. Card holders are also able to take advantage of interest-free credit without having to present any additional paperwork. “Paga A La De 3” for purchases over 75€ gives you automatic interest-free finance to repay in 3 months, however admin charges apply: 1€ for purchases up to 90€ and then in incremental amounts up to 7€ when you spend 600€. As a card holder you can also request a personal finance plan for larger purchases. During promos this could be interest-free, however always remember to check the admin charges applicable. Only available for stores on the Costa del Sol, monthly newsletters inform about promos in different departments where you can save between 2%-15%. Apply online for the free card. The What’s Hot card can be used at Opencor, Supercor and Hipercor stores as well as El Corte Ingles. Additional partners are being added, take a look online to see the current offers. Sign up for the newsletter to get info about their short-lived promos available either in store and online, or online only. Promos include discounts on electronics and their “Operation 48 Hours” promos held on selected weekends throughout the year. The El Corte Ingles monthly catalogues are available free in stores or take a look online. They include info about promos that will be running throughout the month, such as discounts on certain brands or freebies. El Corte Ingles has a range of household goods to compete with stores such as Ikea or Casa Shops. The variety of items is gradually being increased, check prices online and find in stores by their distinctive green and black packaging. If you get your petrol or diesel at any Repsol, Campsa or Petronor station, pay with your store card to accumulate 4% of the cost. The amount will be sent to you every 2 or 3 months as a gift voucher to use in store. Free Option: Buy online and pick up at any store for free. You can also make returns to any store free of charge too. 1€: Many items can be collected at any Supercor store located across Spain which open 365 days a year. You’ll get an email or SMS message when your order is ready and 7 days to pick it up. You will have to pick it up yourself with your identity documentation (NIE / passport). 2€: Pick up at a collection point, includes Correos offices in Spain. Large appliances: Delivery is free on items over 300€. Definitely not the cheapest supermarket, but it does have speciality foods and drinks that you often can’t find elsewhere. 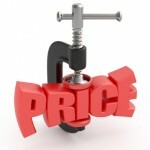 Newbies can often get a discount on their first order with a minimum spend of 90€. Avoid delivery charges by choosing the “Click & Car” option and collect without having to get out of your car. Store car parks have designated collection parking spaces; indicate your order number and everything will be placed in the boot of your car. Min. spend 30€. Primeriti is El Corte Ingles’ online outlet with discounts of up to 70% on top brands. You’ll need to register online after which you’ll receive emails with their offers that last between 2 to 4 days. Delivery charges depend on the size of your order, minimum 5.90€. Returns by courier are free of charge. When visiting El Corte Ingles, tourists can use a card where all purchases are recorded allowing for a 10% discount on their next purchase. Although this is really for non-residents, all you need to do is fill in your details, print your card and present with your passport in store. You can also take advantage of this discount when you have non-Spanish visitors, just print cards for them too. Some items are excluded from this promotion – check by store.